IMP NOTE !!! As per Reserve Bank Of India Rules, Currency notes which do not have YEAR of PRINT (See below Image) were declared invalid after 1st April 2014. Although this is not an issue as of 2017, Still if you have doubts, pull out all your notes and check if it has YEAR printed and is valid. The Reserve Bank of India has decided to withdraw all currency notes issued prior to 2005, including Rs. 500 and Rs. 1000 denominations, to curb black money and fake currencies. Similarly to cut down on black marketing and corruption in India, Prime Minister of India took an uninformed decision of Demonetizing Rs.500 and Rs.1000 notes on 8th Of November 2016 in India. So be informed that those notes are invalid now. 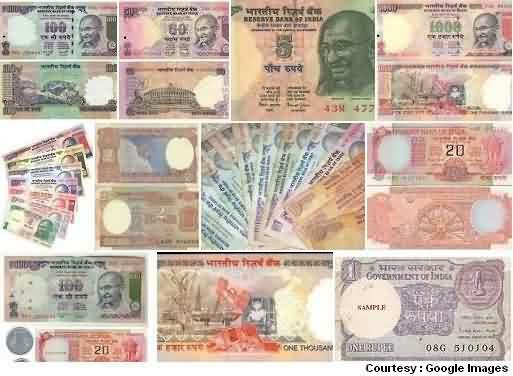 Mumbai Currency is counted, valued and referred in ‘INDIAN Rupees (INR)‘ (unlike dollars in United States). While writing the short term of same is referred as ‘Rs.‘. Below are types of currency notes and coins and an approximate currency conversion ration as of 2009. And like its ‘cents‘ in USA for amount with value lower than a Dollar, here in Mumbai / India it was ‘Paise and Anas‘ which is a history now. Typically Rs.1 = 100 Paise (Like $1 = 100 cents). Lowest form of currency or coin valid as of date is Rs.1 (Ek Rupiya in Hindi). See Also : Things related to Money in Mumbai. Also, Mumbai do have a Monetary Museum by RBI. If you are looking for Forex Exchangers in city. Previously currency notes values Rs.1000/-, Rs.500/-, Rs.2/- and Rs.1/- were also valid which is now not. IMP NOTE ABOUT OLD NOTES (Invalid now) : Now a days fake currency rackets are found in India for major currency note of Rs.1000/- and Rs.500/- and in few cases Rs.100/- too. This duplicate fake notes looks similar to the original one. 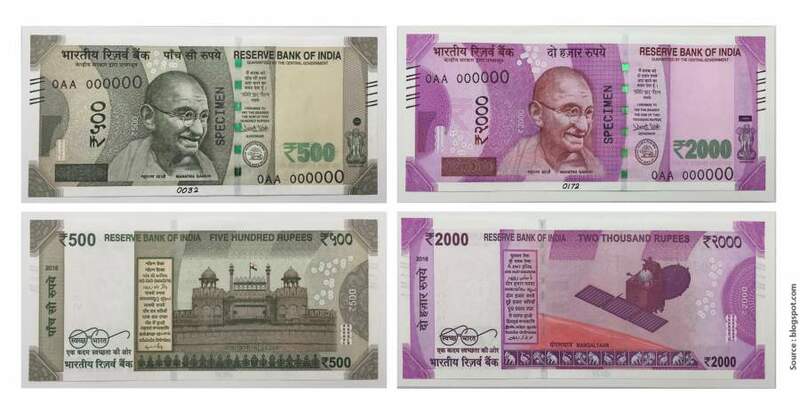 Two of the major fake currency notes series in Rs.1000/- notes are ‘2AQ‘ and ‘8AC‘ (Source Internet). Kindly take care while dealing with this series notes. One can easily find coins worth Rs.10/- Rs.5/-, Rs.2, Rs.1, (50 Paise and 25 Paise are no longer accepted and valid in Market). Fake Rs.10 coins are also seen floating in market which was very hard for a common man to verify and deal. Also to take care when using Rs.1 and Rs.2 coins as the size is almost same and mistakes do happen while carrying any cash transactions in Mumbai market or while travelling in city. As already talking about travel, You should always carry little change handy as getting a change of Rs.100 and Rs.100 for product purchased worth Rs.5 and Rs.10 is little touch and shop keepers will immediately request you for giving change (In Hindi, ‘Chutta leke aao’). 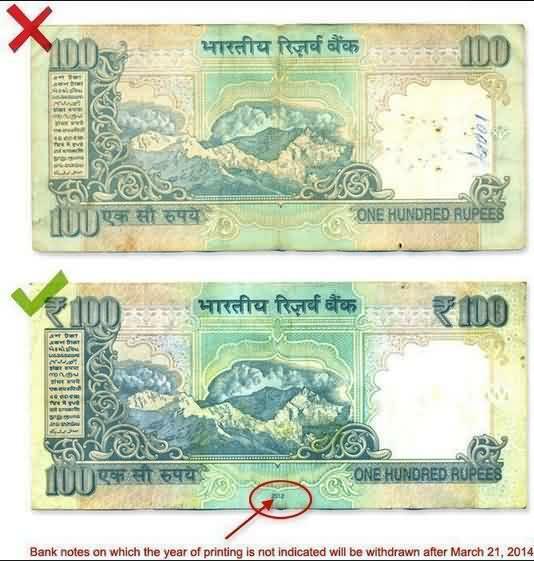 Do not accept Indian currency notes, torn, stick or in two piece. Only banks can accepts such notes. Take care of personal / hand Hygiene as this notes are circulated and exchanged millions of times before reaching your hands, So you know what i mean. SOme people have an habit of holding currency notes in mouth for any temporary reasons like counting or doing something else, It very unhygienic and help them educate. In Mumbai market when anyone ask for change in Hindi, They will refer word ‘Chutta’ in their sentence. Latest rules applied on all bank ATM’s which allowed any customer to withdraw money from any other banks ATM is an useful point to be noted, So for example if you have an Account in ‘Bank Of America’ with a branch here, you can use the Debit / ATM card to withdraw cash from any other banks ATM without any service changes. Kindly refer you banks terms once for withdrawal of currency and ATM related international rules to confirm. I though this will be an important point to be notes when talking about currency in Mumbai. If you are a tourist and are planning to use public transport like local trains or bus, it is advisable ‘NOT TO CARRY’ lots of hard cash currency notes as public transport are very crowded and risk of theft and pick pocket is very high. Some words, phrases commonly used in Busy city Mumbai are listed below with its meaning in English. Its a very local guide and Hindi to English reference for Money related. Chutta Hai Kya ? Do you have Change ? I will highly recommend to refer, print and keep local slang handy as it will make you understand what someone meant by using few sentences and phrases which is known and famous in Mumbai.